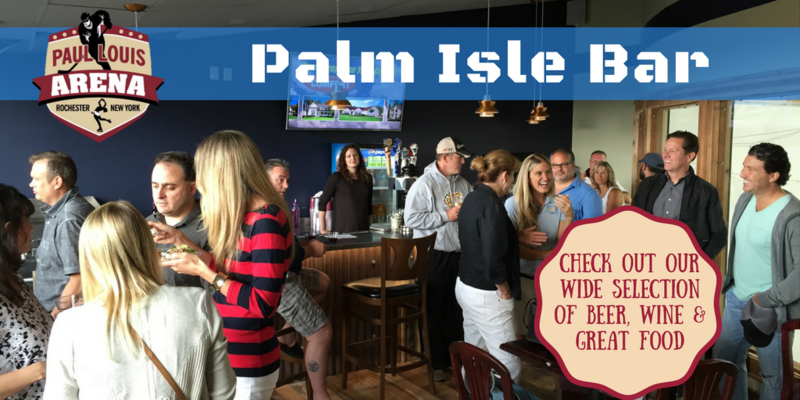 The Paul Louis Arena features the Palm Isle Bar/Restaurant. The Palm Isle is located inside the arena and sits up above the ice for great viewing of the ice as well as a large window that overlooks the City of Rochester. The Menu includes all your favorite fryer items as well as some great grilled food. The Drinks include Draft Beer, Cans, and Wine. Stop up at your next visit to Paul Louis Arena.